Laura Robinson joined the Mississauga Cycling Club in 1972. Though she became a member of the Canadian National team in 1983, it’s non-competitive cycling that she loves the most. 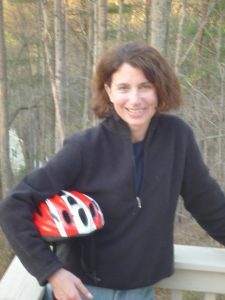 She was a founding member of the Ontario Cycling Association’s Cycling Women’s Committee in 1981, has covered cycling for The Toronto Star, Globe and Mail, Chatelaine, NOW Magazine and Pedal Mag, and wrote “Cyclist BikeList: The Book for Every Rider”, which won the silver medal “Book of the Year Award” from the American Library Congress. 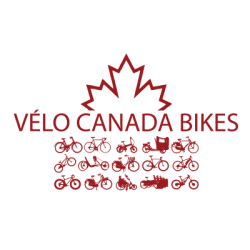 From 1990-2012 she biked daily and eventually founded a mountain bike team at Saugeen and Nawash First Nations, and was a founding member of Canada Bikes.